Every year, out of their amazing generosity BuyDig.com offers an amazing giveaway sweepstakes and this year is no different. This year the fabulous team over at BuyDig has decided to give one lucky Mom Blog Society reader a 42-Inch 1080p 60Hz Direct LED Smart HDTV with Wi-Fi! BuyDig.com rules in my house. Whenever we need a new tech gadget or small kitchen appliance we shop at BuyDig. Why? Because they have top notch products and rock bottom prices. You have the chance to win one of these awesome HDTV's, but even if you aren't the lucky one - you have the chance to save big! BuyDig.com is a great place to buy gifts for the holiday season or even treat yourself to something you've been wanting. You'll love all of the products they offer but the televisions are the most exciting part of their site to me. They carry all the TOP name brands so you will be sure to find the perfect new TV for your home. Maybe hubby needs a man cave or you want a TV in your craft room, one lucky person will win a new 42-Inch 1080p 60Hz Direct LED Smart HDTV with Wi-Fi! Will it be you? What room will you put it in? 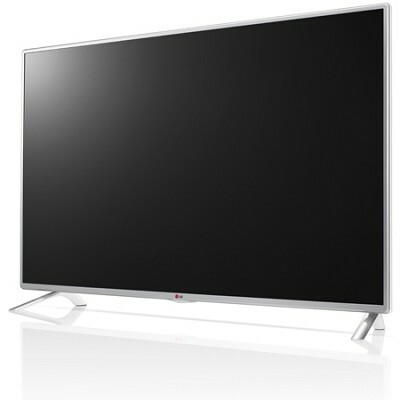 This LG 42LB5800 has amazing picture quality with and IPS Panel and full HD 1080p resolution, plus MCI 120, triple XD engine and a resolution upscaler. The LG Smart TV also offers premium VOD Service as well as Netflix, Hulu Plus, YouTube, Facebook and more. You can connect with Wi-Fi, HDMI, and USB. The audio offers 2Ch speaker system, 20w output powr and sound sync. The actual dimensions are: TV without Stand (WxHxD) 37.83" x 22.32" x 2.19" TV with Stand (WxHxD) 37.83" x 24.02" x 8.58" Shipping Dimensions (WxHxD) 41.50" x 25.39" x 5.75" TV without Stand Weight 20.3 lbs TV with Stand Weight 20.9 lbs Shipping Weight 25.6 lbs UPC 719192592247 BuyDig.com is your one place shop this holiday season. Don't make the mistake of thinking you will get there amazing quality and their fabulous prices anywhere else. Not even on Black Friday or Cyber Monday. BuyDig has proven to me over and over again that they stand behind their products. You just can't find a better deal anywhere. Disclaimer: I received no products or compensation to be a part of this giveaway, I'm just hosting this on my blog to help out fellow bloggers. This promotion is in no way sponsored, endorsed or administered by, or associated with, Facebook, Twitter,etc. Void Where Prohibited. Please note that Lauren Paints | a beautiful life is not responsible for sponsors that do not fulfill their prizes.